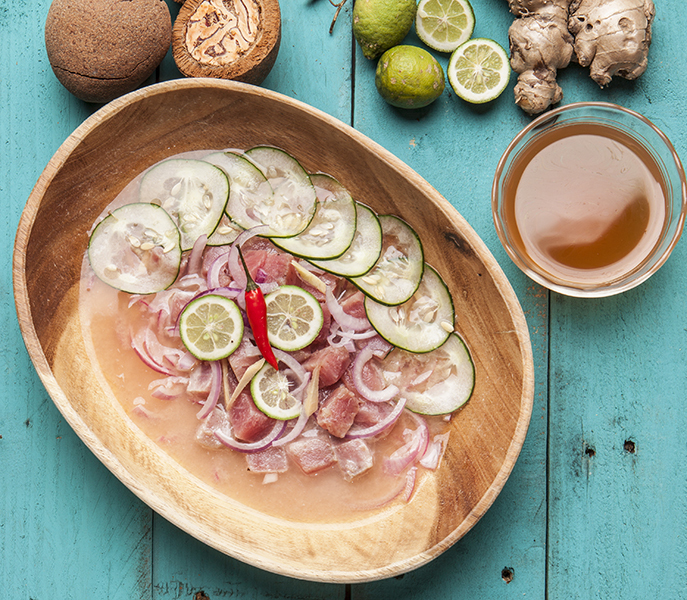 At the last year’s Madrid Fusión gastronomic summit in the Spanish capital, kinilaw — a simple dish of fresh raw fish cooked in vinegar — basked in the spotlight, impressing culinary experts from around the world. Kinilaw is a versatile dish that, given its many variations, mirrors the diversity of the Philippines’ topography and cultural heritage. And to homesick provincianos in Manila, a mere taste of freshly prepared kinilaw is generally enough to transport them back to the past, triggering heartfelt accounts of childhoods spent by the shore or of family luncheons at a grandmother’s heaving dining table. 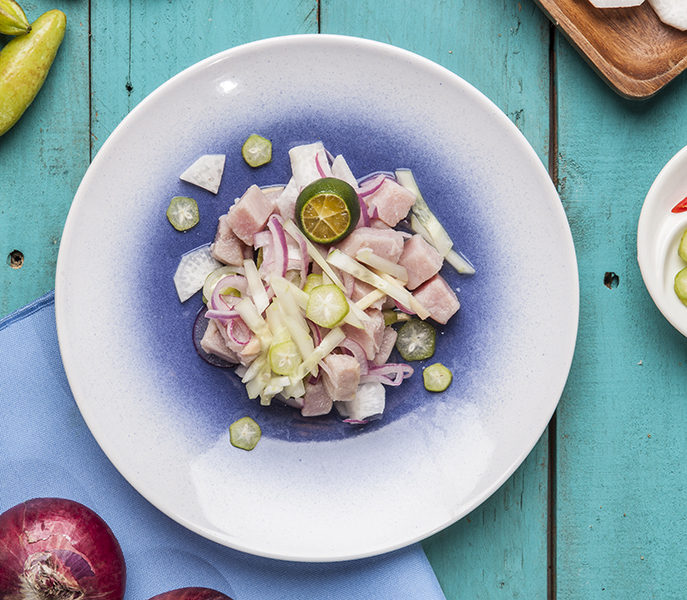 Here, Patrick and Pia Roa, the dynamic duo behind Patricio’s Cevicheria, give us the rundown on six types of kinilaw from different parts of the Philippines. They explain what makes each version of this dish, which bursts with flavor and freshness, unique. 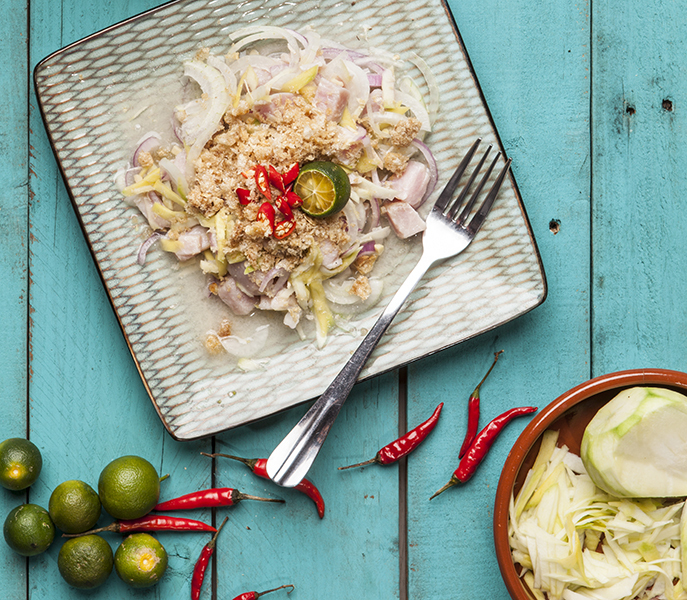 This version of kinilaw from Cagayan de Oro is renowned as the nation’s oldest. In fact, it was filling Filipino bellies even before the arrival of the Spaniards. 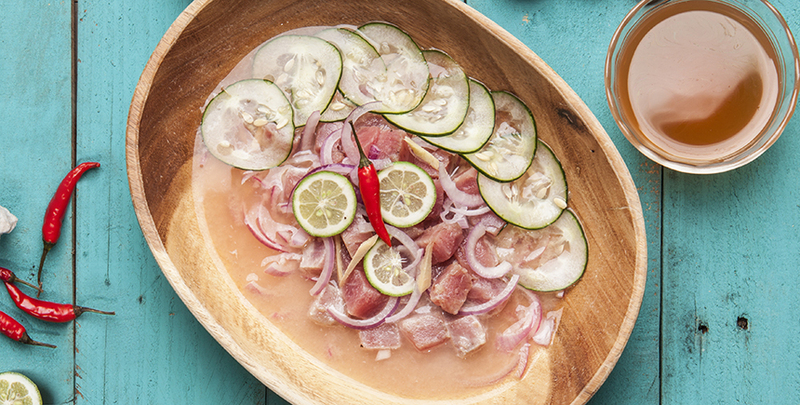 It’s a fish kinilaw — the Roas use tuna — that’s made with suwa (aka biasing), a species of fragrant lime endemic to northern Mindanao and Camiguin. Tabon-tabon (a fruit that looks like a dry chico) is also used, along with siling labuyo, cucumber, ginger, red onions and mild local vinegar. 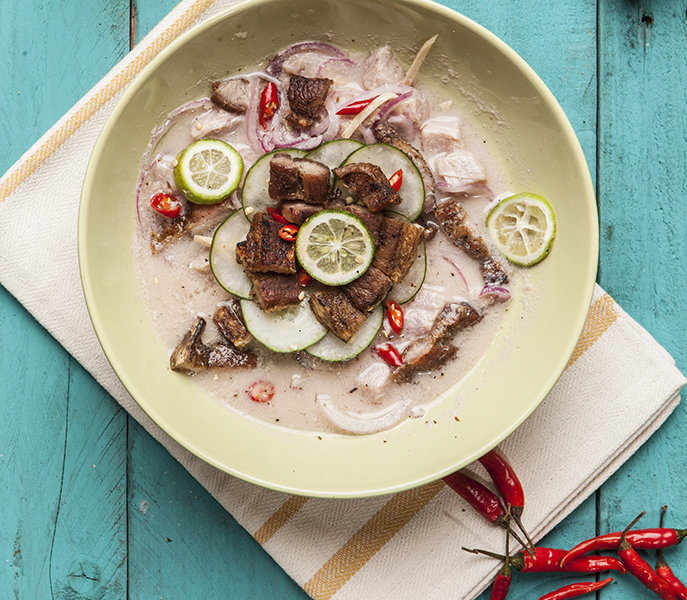 As with most kinilaw recipes, the “chop-and-drop” method of preparation, where a fish fillet is cubed and the rest of the ingredients are chopped and combined in a bowl with vinegar, will more than suffice, Patrick says. The preparation of this Dumaguete kinilaw is decidedly different. The process begins with the harvesting in mangroves of the dungon fruit, which is used to make an essence that’s strong and woody. According to this recipe, the fish and the rest of the ingredients are combined with vinegar. Once the fish is cooked, the vinegar is drained off. Next comes the addition of the dungon essence, which perfectly complements the tang of green mangoes, the heat of siling labuyo and the crunch of chicharon. Incidentally, as Patrick notes, binakhaw was traditionally prepared with bangsi (flying fish). The bangsi bones, as opposed to the chicharon, added crispness to the dish. 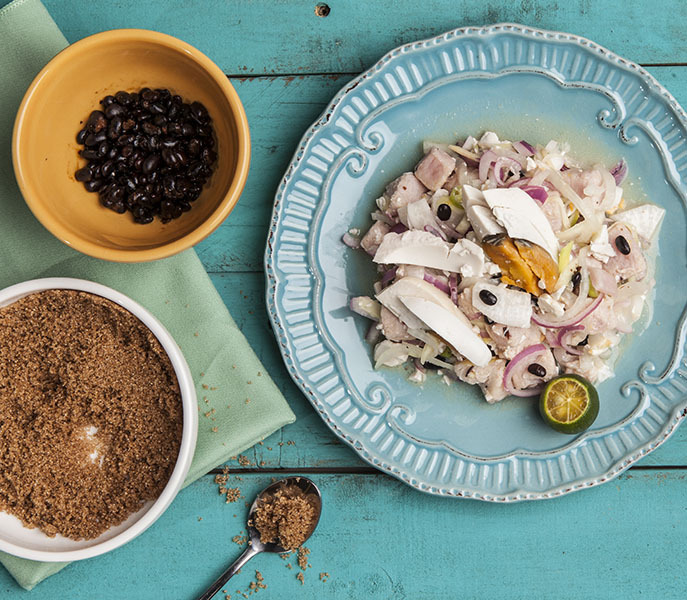 From the Queen City of the South comes a version of kinilaw that’s appropriately flamboyant and fancy, thanks in part to the presence of gata (coconut milk). As Cebu produces both red and white vinegar, either may be used. Adding gata to the vinegar produces a sauce with a creamy texture. 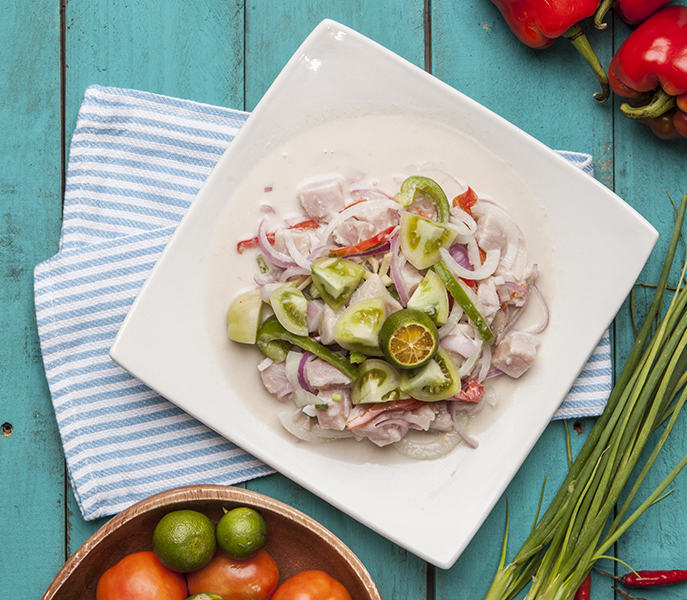 The inclusion of chopped red tomatoes, green tomatoes, radish, cucumber, siling labuyo, bell peppers, red onions and spring onions makes this the kinilaw version with the greatest number of ingredients. This Negros Occidental kinilaw is the only one made with itlog na maalat (salted red egg). Some people even add tausi (black beans) for an extra bite of saltiness. Shredded strips of green mango, slivers of white radish and red onions, and a dose of local white vinegar add to the tangy flavor. When mixed in thoroughly, the itlog na maalat lends the sauce a rich texture and an ochre hue. Though it’s unusual for kinilaw, the Negrense version also includes kalamay (brown sugar), which plays to the sweet tooth of those raised in the sugar bowl of the Philippines. This article originally appeared in the April 2015 issue of Smile magazine.